The option that most naturally mimics a lost tooth, is to implant a new tooth. In order to integrate with your jaw bone, this man-made synthetic material is expected to be as biocompatible as possible, or in other words, be as close as possible to a natural tooth. Until recently the material to bond best with the jawbone was titanium, therefore that was the material of choice. It had the disadvantage of producing dark discolorations in the gums. Furthermore, many people believe that a piece of metal implanted in the body could disturb the bio-electric balance. Biting on aluminum foil can give you an idea of the incompatibility of metals with your body. A few years ago the use of zirconia as a non-metallic implant has been approved in the US after having been used around the world, especially in Europe, for many more years. The material also has proven its bio-compatibility in the form of hip replacement material. Beyond the cases explored here, you find complete information about all aspects of dental implants at Dr. Sarkissian’s Metal Free Implants website. Dr. Sarkissian, as a biological dentist, has many other areas of expertise, like non-extraction orthodontics, laser dentistry and pediatric dentistry. Explore those areas at SarkissianDDS.com. 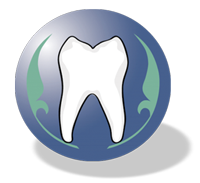 The following slide show demonstrates the basic steps of replacing an un-salvageable tooth. Dr. Sarkissian, as a biological dentist, will first do everything possible to save the natural tooth, but there are cases where that just is not possible or where the tooth has already been lost.